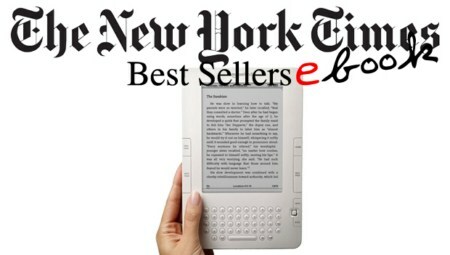 New York Times Best Collection - May 04, 2014 | Free eBooks Download - EBOOKEE! Posted on 2014-05-20, by pherick. 1. THE COLLECTOR, by Nora Roberts. 2. THE GOLDFINCH, by Donna Tartt. 3. THE SPACE BETWEEN, by Diana Gabaldon. 4. NYPD RED 2, by James Patterson and Marshall Karp. 5. THE FIXED TRILOGY, by Laurelin Paige. 6. I'VE GOT YOU UNDER MY SKIN, by Mary Higgins Clark. 7. SHADOW SPELL, by Nora Roberts. 8. MISSING YOU, by Harlan Coben. 9. ORPHAN TRAIN, by Christina Baker Kline. 10. GONE GIRL, by Gillian Flynn. 11. THE HUSBAND'S SECRET, by Liane Moriarty. 12. A GAME OF THRONES, by George R. R. Martin. 13. THE INVENTION OF WINGS, by Sue Monk Kidd. 14. CARNAL CURIOSITY, by Stuart Woods. 1.HEAVEN IS FOR REAL, by Todd Burpo with Lynn Vincent. 2.FLASH BOYS, by Michael Lewis. 3.KILLING JESUS, by Bill O'Reilly and Martin Dugard. 6.THE DIVIDE, by Matt Taibbi. 9.FREAKONOMICS, by Steven D. Levitt and Stephen J. Dubner. 12.UGANDA BE KIDDING ME, by Chelsea Handler. 13.TWELVE YEARS A SLAVE, by Solomon Northup. 15.PROOF OF HEAVEN, by Eben Alexander. 5.IF I STAY, by Gayle Forman. 6.MISS PEREGRINE'S HOME FOR PECULIAR CHILDREN, by Ransom Riggs. 7.AN ABUNDANCE OF KATHERINES, by John Green. 8.ELEANOR AND PARK, by Rainbow Rowell. 9.THIRTEEN REASONS WHY, by Jay Asher. 10.HOLLOW CITY, by Ransom Riggs. 2.THE DOCTOR'S DIET, by Travis Stork. 3.THE BLOOD SUGAR SOLUTION 10-DAY DETOX DIET, by Mark Hyman. 4.GRAIN BRAIN, by David Perlmutter with Kristin Loberg. 5.FOUR BLOOD MOONS, by John Hagee. 6.THE FIVE LOVE LANGUAGES, by Gary Chapman. 9.THE GIFTS OF IMPERFECTION, by Brene Brown. 10.WHAT TO EXPECT WHEN YOU'RE EXPECTING, by Heidi Murkoff and Sharon Mazel. 12.I CAN SEE CLEARLY NOW, by Wayne W. Dyer. 13.THE BODY BOOK, by Cameron Diaz with Sandra Bark. 14.THE HUNGRY GIRL DIET, by Lisa Lillien. 15.WHEAT BELLY, by William Davis. 17.LEAN IN FOR GRADUATES, by Sheryl Sandberg with Nell Scovell. 18.DARING GREATLY, by Brene Brown. 19.MIRACLES NOW, by Gabrielle Bernstein. 20.I QUIT SUGAR, by Sarah Wilson. No comments for "New York Times Best Collection - May 04, 2014".